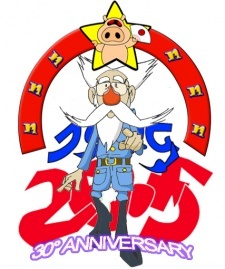 Junko's grandfather and creator of the "Time Bokan" time machines. A famous scientist, he wasn't recovered until the 27th episode, but soon joined Tanpei's team on other journeys. His name is probably a play on the term "消えた," which pronounced familiar and means "disappeared."